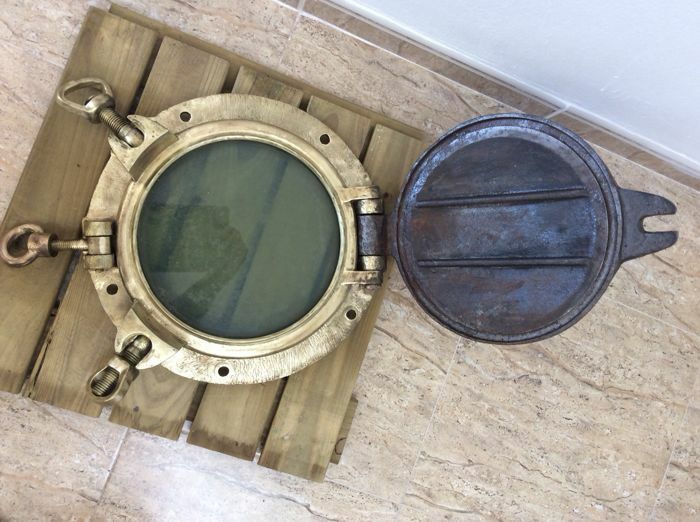 Porthole of 40 cm diameter, three part. 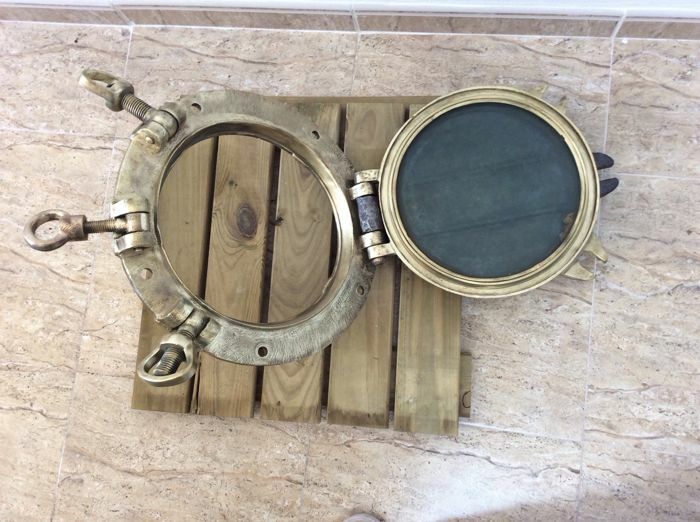 Brass backing and swing plates, original glass, iron deadlight. The artical was delivered with a defect. 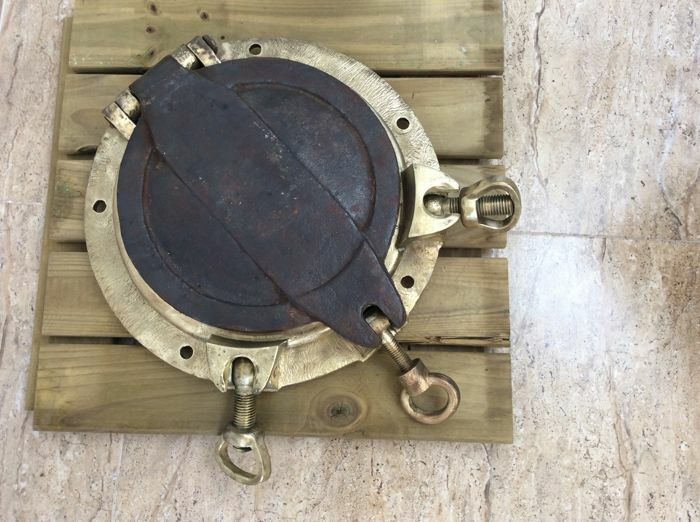 Pictures were sent showing a clean break in the shaft and although seller answered, there has been no move to resolve this situation in a positive manner. I find it outrageous what they did with the item. I would never have sent or hidden such a damage from an item. I would not have put it up for auction in this state, nor would Catawiki have allowed it. Please accept my apologies on behalf of the shipping company, whichever is responsible for this mess. I shall be happy to refund you for the purchase. Do not send the item back as it has lost all its value. Best regards and my deepest apologies. But please show me exactly where the defect is. I hope you received the photos I sent You.I was awaiting for your reply.I still am. Thank You.